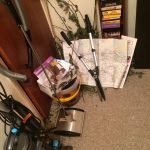 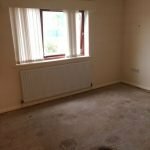 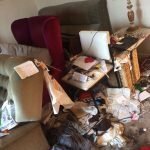 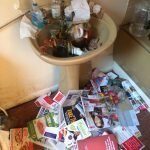 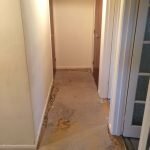 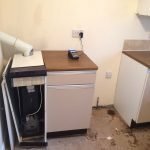 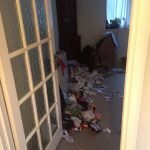 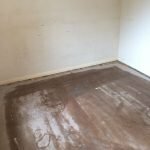 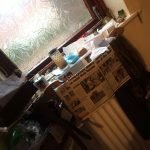 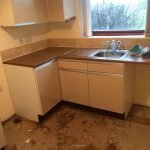 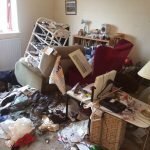 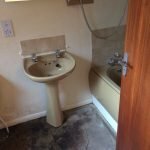 House Clearance Service In Goldthorpe Hemsworth Cudworth Darfield Wombwell Worsbrough Hoyland. 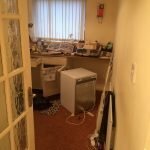 As well as clearing the usual furniture these small items will also need clearing – A grey Bosch GKT 55 GCE 240v plunge saw, A brand new boxed Yankee candle votive wedding day gift set, A large box full of vintage glass Christmas baubles, A black and grey Miele S5210 220w cylinder vacuum cleaner, A Pure mate PM601 ultrasonic cool and warm mist humidifier, A brand new boxed John Beswick foxhound figurine, A brand new White Company Egyptian cotton king size fitted sheet. 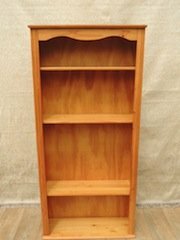 A tall standing solid pine scalloped edge bookcase, with removable shelves. 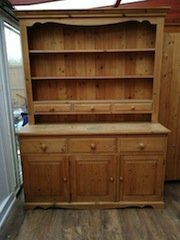 A two piece solid pine farmhouse style Welsh dresser, having two shelves above three small drawers to the top, and three drawers above one double and one single cupboard to the base. 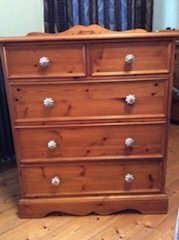 A large solid pine bedroom chest of drawers, having two small over three large drawers, each with decorative porcelain knobs. 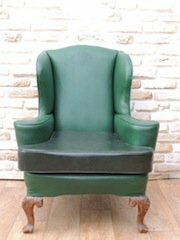 A vintage Chesterfield high back fireside armchair, upholstered in green authentic leather. 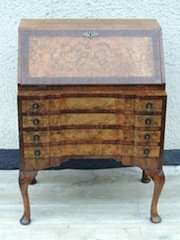 A vintage walnut and marquetry inlaid writing bureau, having a pull down desk above four slim drawers, each drawer with two brass handles. 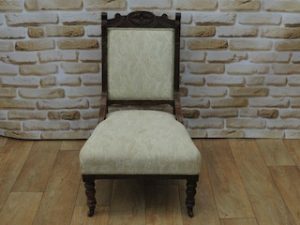 A vintage oak framed bedroom chair, upholstered to the seat and backrest with patterned fabric. 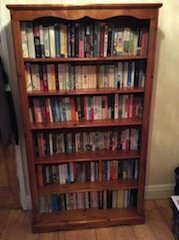 A tall standing solid wood bookcase with removable shelves, together with over 100 books. 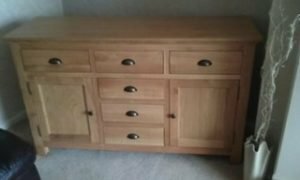 A large light oak sideboard, having three drawers above a single cupboard to either side of three small drawers. 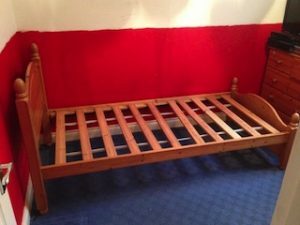 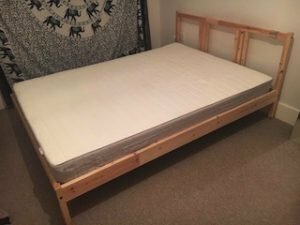 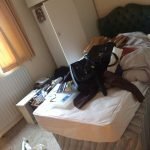 A white Ikea double bed frame, together with a white Ikea chest of bedroom drawers. 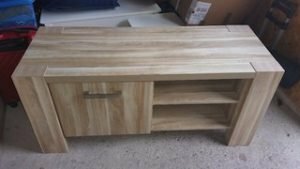 A small beechwood television unit, having two shelves aside a small cupboard. 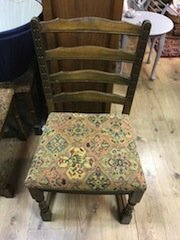 A vintage solid oak framed ladder back occasional chair, upholstered to the seat with patterned fabric. 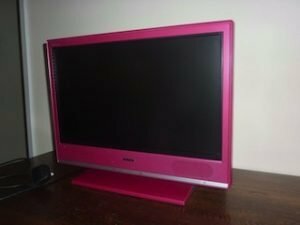 A pink surround 22 inch flat screen television, with built in DVD player. 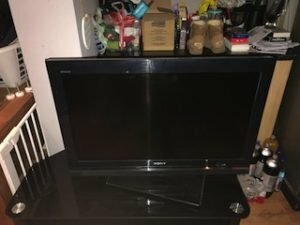 A black Bush 32 inch flat screen smart television.